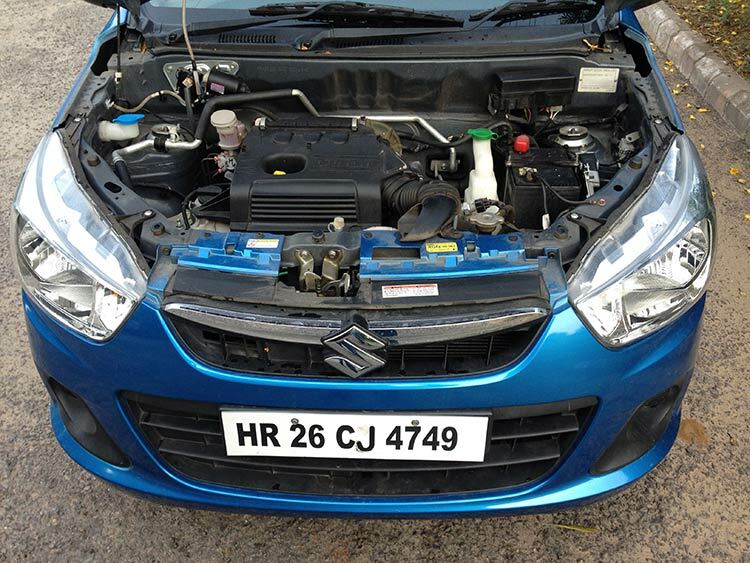 I was keen to test drive and review the automatic gear-boxed version of the all-conquering Suzuki Alto K10, as prior to doing so, I had had a few too many frustrating and tiring weeks negotiating the nightmare that is Delhi road traffic in my manual geared car. Therefore the idea of an automatic geared small budget car for a day or two was music to my ears, but more importantly from a car reviewer’s point of view, I hoped to understand why automatics are still a relative rarity in the small car market, given the general traffic conditions of India that is nothing short of real life GTA play, automatics should be the default weapon of choice. The courteous and pleasant representative of Maruti Suzuki handed over the keys to a striking “Cerulean Blue” coloured (6 Colours in total) Vxi version of the Alto K10 with approximately 2693 kms on the digital odometer, a quick introduction to the car and off I went to wrestle the traffic and Delhi heat. This version does however get the most important features in my opinion i.e an effective air conditioner, electric front door windows, multi-function music system and power steering. To see the whole list of features this version and others get, please follow Maruti Suzuki Alto K10’s official website. The engine is a 3-cylinder 998cc “K-Next” unit with claimed peak power of 68PS @ 6000rpm and peak torque of 90 Nm @ 3500rpm. In the real world, the engine has more than adequate power to keep up and at times surprise the traffic, though its best not to rev it for fear of slightly intolerable NVH levels at high rpms that most small capacity engines suffer from. There is however some extremely pronounced engine vibration and shake at idle that makes it way through the cabin and then neutrals out on the move. 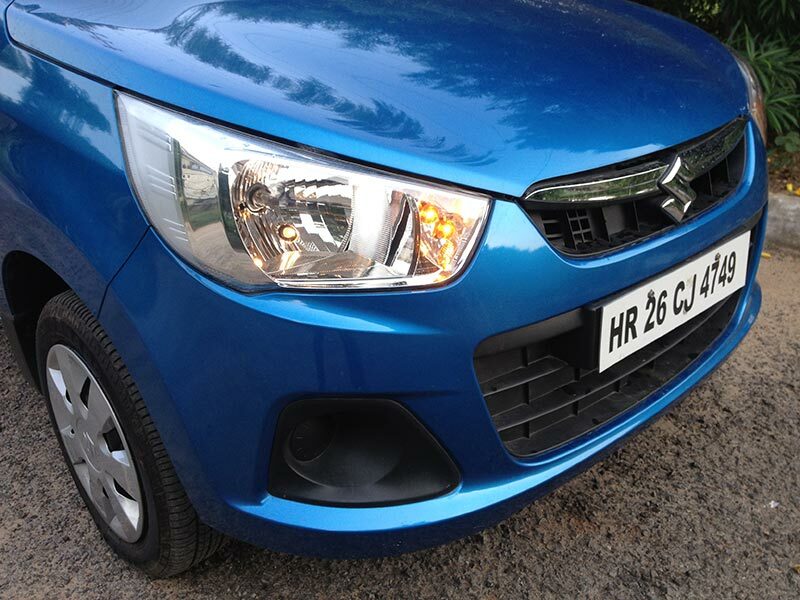 The Alto K10 is a smart looking car despite its humble status and the striking “Cerulean Blue” does it justice and lend it the Subaru-look from some headlamp angles. 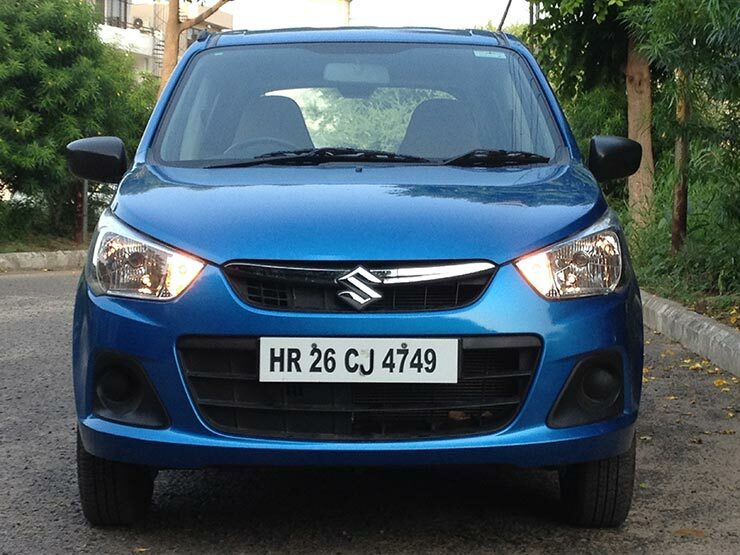 Like all other Suzuki products, the car feels well put together and built for Indian road conditions. 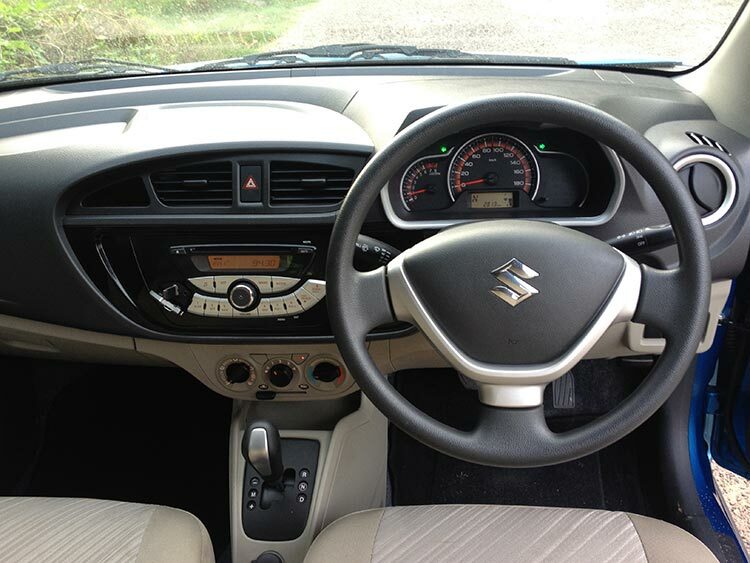 The cabin itself is airy and has a nice blend of light coloured seat and upholstery material and fabric mixed with dark plastics for the dashboard to lend the cabin a pleasant and welcoming feel. 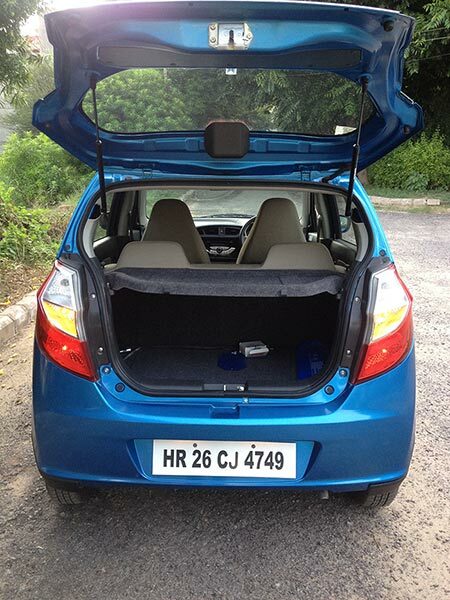 Headroom is very generous though rear legroom is adequate, as tested by the reviewer’s quick change for an evening run at Sirifort. The transmission tunnel along the floor does however eat into such legroom and three abreast would be a tight squeeze. An airy cabin with large windows also allows for great all-round visibility and an important plus in hazard-rich road conditions. 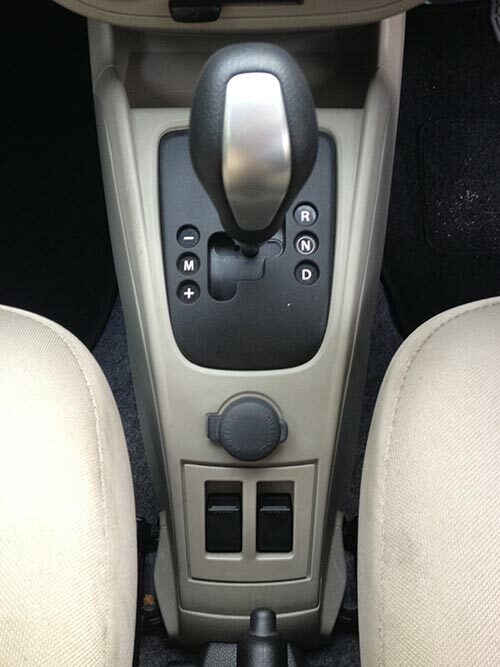 The placement of the power windows switches requires a rethink and repositioning to the door handles from the current no-man’s land positioning between the handbrake and auto gearbox. The steering wheel is nice to look at and hold, however the power steering requires further assistance and comes across a tad too heavy for everyday city use and over uneven surfaces tends to make the car tramline. The suspension is quite well dialled in with adequate ground clearance to handle the potholes and breaks in surfaces and braking performance is satisfactory, however no ABS or Airbags on this version is disappointing. Central locking is on offer but not remote keyed and will have you reaching for the door old-school style to lock all the doors when inside. At mid to high double digit speeds, the car feels fairly well balanced and confident helped by the slightly heavy steer and not so despite the small and skinny 155/65R13 tyres. Whilst class and type (automatic geared) leading fuel returns are claimed, my test drive over 3 days and approximately 150 kms returned me an average of around 16 km/l, however the same was achieved with the airconditioner switched on at all times and whilst negotiating some brutal stop-go Delhi traffic with the occasional heavy foot to test responsiveness and acceleration characteristics of the car, in a word, impressive and no doubt helped by the extremely low kerb weight of 750 odd kilograms. The centre of attention of this review and the manufacturer’s focus on this version of the Alto is undoubtedly the 5-speed automatic gearbox with a tip-tronic shift function for manual override (“+” to go down the gears and “-” to go up the gears) and a digital readout of the current gear selected under the speedometer unit. Along with the “R” slot for reverse drive, “N” slot for neutral, for forward movement in automatic mode “D” slot is provided. Noticeably “P” for auto parking brake is missing and one must physically pull the hand brake after slotting into “N” to give the box a breather. Whilst most automatic gearboxes of yore were criticised for lethargic response and a detached feel, this gearbox feels a bit too eager and if dialled down a bit, would make for a smoother and a more fuel economical ride. When pressed into urgent action on “D”, it tends to hold on to 1st gear a bit too long and there is an at times unnerving pause every time the gearbox downshifts down the gears up until 4th gear and also requires a subtle lift off the accelerator to downshift rather than take the hint when the driver is not pushing full steam ahead but maintaining a steady pace to downshift quickly for maximum fuel returns. The downshift thereafter to 5th is surprisingly smooth and nonchalant, something that would be preferable for all the shifts. The accelerator pedal is surprisingly hard sprung as well but press it in a hurry and the gearbox downshifts a gear in quick time to unleash immediate and at times, what feels like relatively excess power. The Tip-tronic works well and can be played around with, though it is speed sensitive when losing speed or slowing down. From a standstill, every movement forward requires a prior press of the brake pedal which will take a bit getting used to. Slowing down to a stop, the gears stay engaged which gives a stuck-in-gear feeling and when at a standing stop, the car constantly lunges forward, this constant and excessive engagement would seem to unnecessarily tax the mechanicals of the transmission and braking setup. Preferably the gearbox should be calibrated to idle motionless when slotted in “D” and respond thereafter in accordance with the pressure applied to the accelerator, akin to the stop-start tech that one now finds in high-end cars. 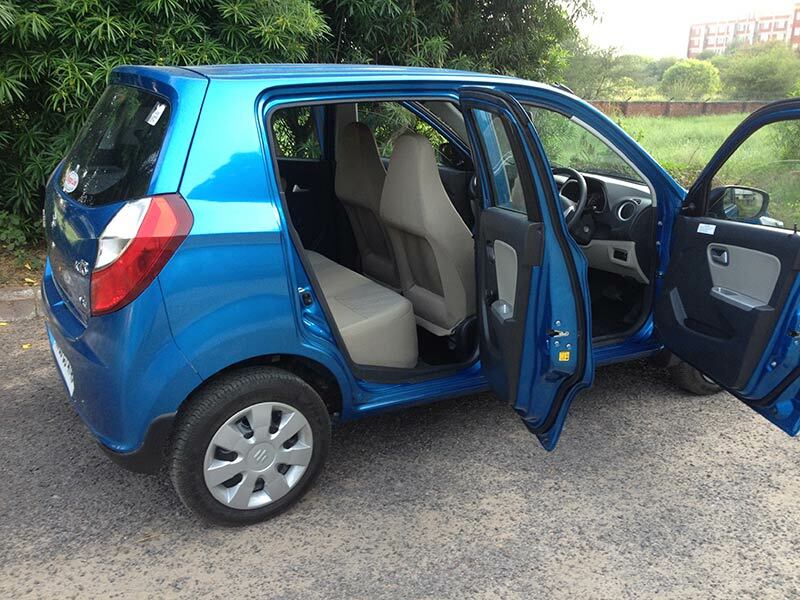 The Suzuki Alto K10 Vxi version here reviewed gets most of the goodies on offer and misses out on the few that come with the “O” (top spec optioned) version, retailing (on-road Delhi) at approximately Rs.4.3 lacs to the best of my knowledge. The price, fuel return figures and Suzuki’s reliability and after-sales service cannot go wrong in India, and it is smart looking as well. The Alto itself has sold more than one can count to and resale value of all Suzuki cars in India are firm and for good reason. The automatic gearbox featured is robust and works well, but as discussed just needs to be calibrated a bit better to ease the driving experience a bit more, with more emphasis on refinement rather than outright pace and brute responsiveness, as such interests could be satisfied by the manual gearbox option. Once such subtle changes are undertaken I see more car buyers willing to pay the extra premium for the automatic gearbox in return for the hassle free driving experience and a predicted switch to auto gearboxes as a default option of choice over their manual counterparts. Read: Top 5 affordable automatic cars in India. 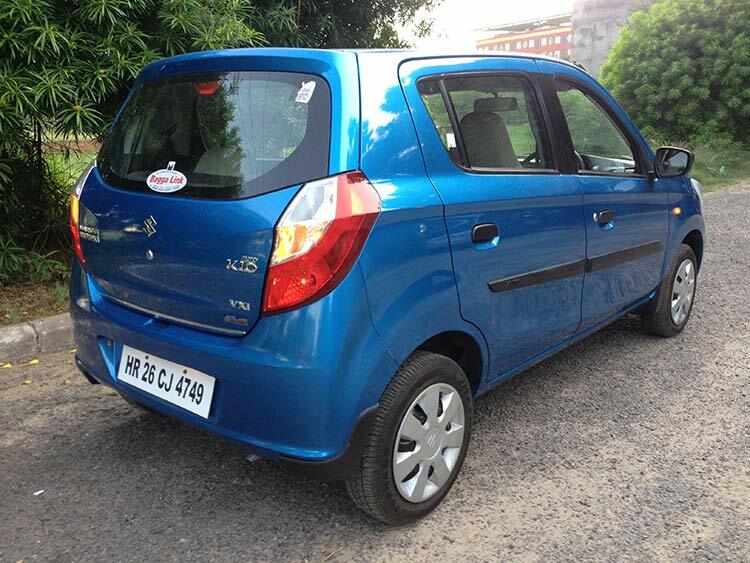 Find all photos of Maruti Alto K10 Automatic here on Flickr Album.